If we can't find a system for you, we'll build it. 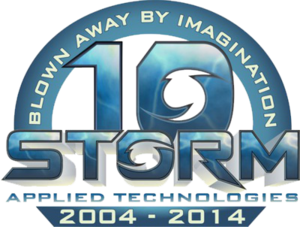 In 2010, the partners of Storm Applied Technologies saw a massive need. Having delivered web systems to SME (small-to-medium enterprise) organizations, they realized there were no enterprise-grade systems to help SOHO (small office/home office) clients. Because Storm's roots are in computer systems for SOHO, the call was immediate: develop a web site builder that met the needs of small business, just as our first systems did over 10 years ago. Storm began with the same humble roots as the clients Breeze supports. As such, we understand the pressure to stay afloat while facing costs of overhead, infrastructure, staffing, and receivables just to name a few. Breeze was created to give business all the benefits of enterprise-grade web consulting, but phased in such a way as to grow with business. To save on cost - but not to sacrifice quality - Storm's team started with the core elements of a web site: hosting, template, and content. We looked at the differences between each and/or found ways to reduce their costs. The result was unwavering stable hosting, reusable templates, and user-entered content. By tweaking this formula and making partnerships with companies like Pexels, Breeze offers the essential strengths of larger-scale sites but at a fraction of the cost. After nearly 5 years of research, competitor analysis, and development, Breeze was publicly launched. Clients who have chosen Breeze for their business are already making it their own. With help from Storm, templates can be customized and content can be enhanced. Of course, Storm never forgets our roots, so giving back to the community is just as important as delivering a world-class system. As such, all NPOs (non-profit organizations) receive upgraded hosting and access to unlimited plug-ins. Furthermore, the Breeze client network is growing with tutorials, tips, and tricks to share with fellow users.